World Lion Day – ROAR for Cecil the Lion! TODAY, MONDAY 10 AUGUST, IS WORLD LION DAY. Lions are rapidly declining in numbers worldwide. 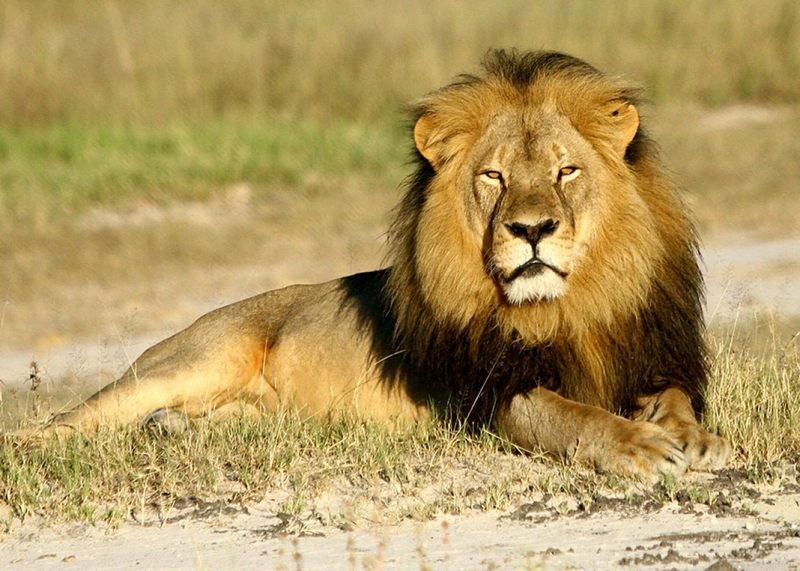 Trophy hunting, such as that which killed Cecil in Zimbabwe last week. Human wildlife contact – lions are shot or trapped by farmers (community and commercial) when they have killed or are thought to have killed their livestock. Loss of habitat due to pressure on land from farming, mining, housing, roads etc. Poaching, for body parts – for ‘traditional’ medicines in parts of Asia. Disease and natural disasters such as drought. Support projects that help community farmers live with lions. We strongly recommend that run by AfriCat in Nambia. Encourage the banning of animal trophies from hunting being brought into the EU. Promote efforts like those from Wild Aid in stopping the trade in lion parts for medicine. Share your feelings with others. Together we can make a difference. Tammy Hoth-Hanssen Director of the AfriCat Foundation with Emmanuel collaring a lion on farmland near Etosha, Namibia, as a part of the lion research and wildlife mitigation programme.